Check out Henny And Bacardi, the latest from Cassidy which features a guest appearance from Swizz Beatz on the. The track was released on Monday, January 18th, 2010. Give Up in The Club a listen - it's a new offering from Swizz Beatz, featuring Memphis Bleek, Lil Wayne. It was dropped on Saturday, December 12th, 2009. Give When I Step in The Club (Prod By Swizz Beatz) a spin - it's the latest offering from Swizz Beatz, having dropped on Saturday, December 12th, 2009. 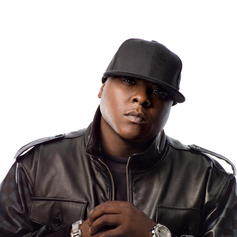 Bump Whos Real, the latest cut from Jadakiss featuring Swizz Beatz, Oj Da Juiceman on the assist. It was released on Friday, December 11th, 2009. Give Be Worried a listen - it's a new offering from Nas, featuring Swizz Beatz. It was dropped on Friday, December 11th, 2009.